The truth is... fighting humidity is a pointless fight. When the moisture from the air hits your hair, the hair immediately starts to expand and shrink. Unfortunately, some more than others. I live in a climate that is very humid. As someone who uses heat regularly I have learned a few strategies on maintaining my heat stretched hair. Weather.com, sounds crazy, but it has quickly become my best friend before I walk out of the door. I check online to see the percentage for the day. 45% + is considered high, but I can usually halfway maintain a hairstyle until it reaches 60-70%. Also, you can usually feel the moisture and how thick the air is when you step out. I've also learned that the humidity is extremely high in the morning where I live. In the morning, I never wear my hair down outside. I leave it in twists, braids, or a bun. Once it gets later in the day or I get to my destination, I take my hair down. I go for heavier products- gels, pomades, oils etc. I never thought I would say it, but pomade has quickly become my go to product when my hair is straightened. It adds a beautiful shine, gives the hair a little weight, and minimizes frizz. Go small or Stay Home! Twisting the hair in smaller sections for your twist outs. My twist out lasts a little longer when I twist or braid in smaller sections. Doing chunky twist or braids for my twist out has always ended in my hair exploding as soon as I step out of the door. When all else fails I bun it up. We are all looking for the magic product or method to stop the effects of humidity, but the truth is it is inevitable. So, when it's just one of those days, and I refuse to fight with the weather, I go for a really cute bun. Buns are my go to hairstyle, you can dress them up or dress them down. 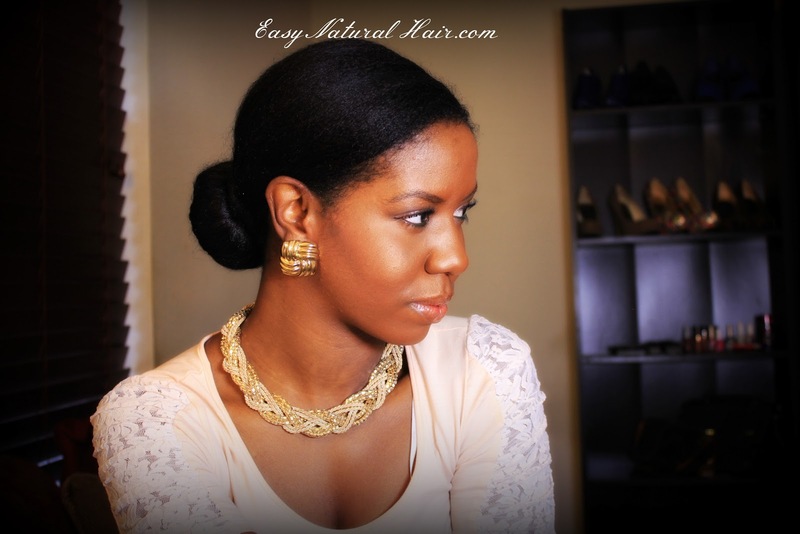 It's a simple and fun hairstyle, and your are still able to maintain your straightened hair. When I bun, I can usually get an extra week with my straightened hair. When I blow dry my hair I usually style with a braid out, twist out, or some sort of curl. I have accepted that going for " bone straight" hair is not an option. In the end the humidity is going to affect the hair. I try to focus on maintenance not prevention. If my hair shrinks and frizzes a little during the day, at night I stretch the hair out by bunning or braiding. My hair normally shrinks up a little and becomes frizzy when the humidity is high. These are just some things I use to minimize the frizz, and also be prepared on those high humid days.